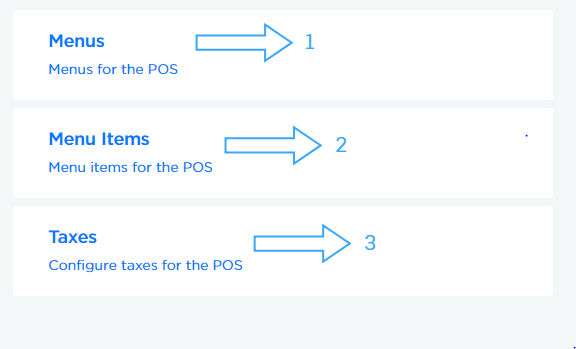 In POS -> CONFIGURATIONS page, you can do the basic setup required for the POS system i.e., adding the menus, menu items and configure taxes for the items. Click here to make the essential configurations. 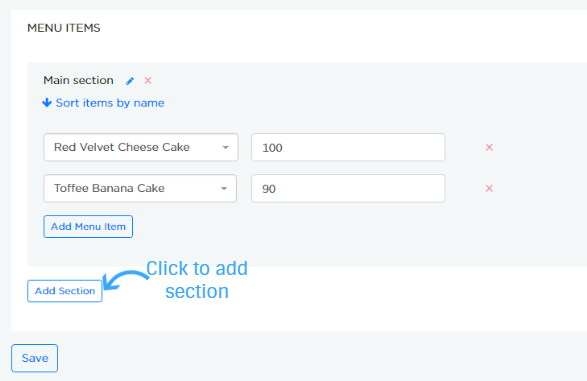 In this section, you can add menus and add the items under your menus. Click ADD MENU to add your menus. As shown in above example, "Availability" can be entered as always, days of week or date range. For example, the above menu is mentioned as "Weekend Special" and availability is from "Friday 9:00 PM to 12:00 AM" . In a similar way, festive menus can be created for a particular date range. Menu items and their respective price are entered. The entered price will be applied for the received orders. You can edit and make necessary changes to the menu. By default, the menus will be disabled and you can enable the same based on your requirements. Disabled menus will show a &apos;red line&apos; on the left.